Jeff's double quick: published for the benefit of the Western Sanitary Fairs of Chicago, Ill., and Milwaukee, Wis.
Black & white illustration of Jefferson Davis in a bonnet and dress, flanked by a Union soldier and a woman. "Dedicated to the Hon. Abraham Lincoln"--Cover. 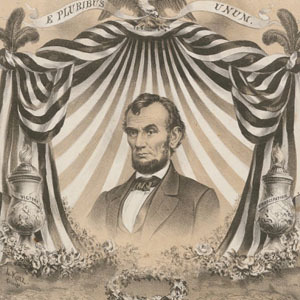 "Dedicated to Abraham Lincoln, President of the United States"--Cover. composed by Harry L. Tatnall.